Designed for great afternoon of varmint or competitive shooting. Made of virtually indestructible polypropylene that will not warp, crack, chip, peel, expand or contract, MTM CASE-GARD rifle ammunition cases are still the first choice of rifle enthusiasts throughout the world. Mechanical hinge that is guaranteed for 25 years. Snap-Lock latch protects contents from accidental spilling. Textured finish makes it easier to grip and harder to scratch. 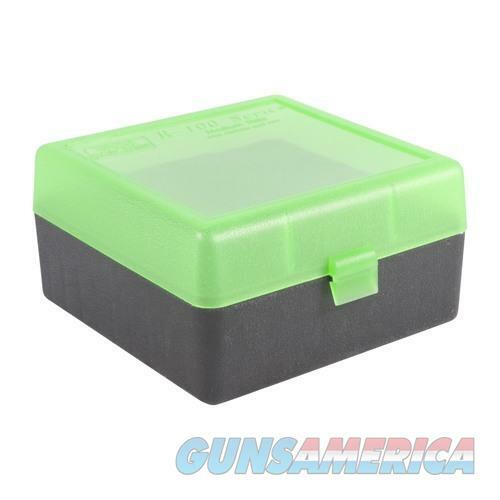 Each ammo box is supplied with a load label for recording load and sight data.